All about Mini Albums, Tutorial and Challenge! Please Scroll down for our latest posts! Hey everyone this is Shruti here! 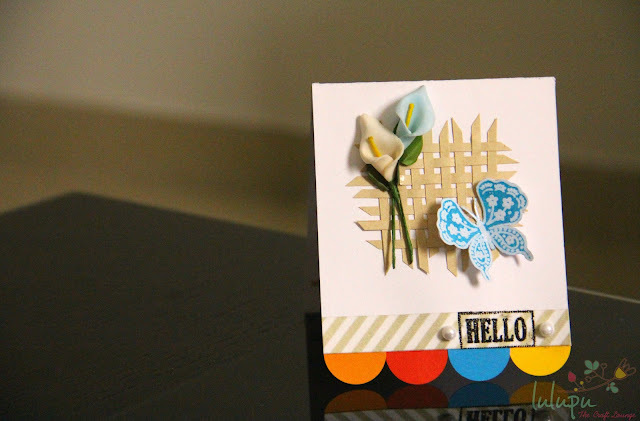 I hope all of you had good fun joining us in our Stamping Challenge last month.. and also got to learn few tips and tricks on stamping from our fabulous design team here at Lulupu! This month will be even more fun!! July is going to be all about mini albums and scrapbooking. There are so many different types of mini albums that I know a month may not be enough to cover all of them.. yet, we promise to come up with tutorials and creative ideas to make different types of mini album!! 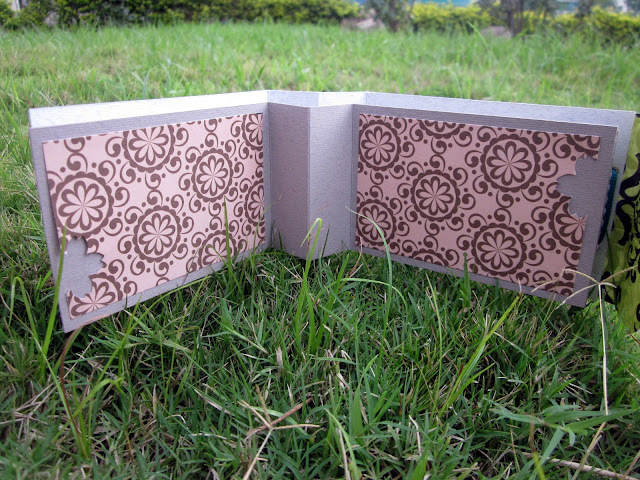 You can use about anything to make a beautiful memory keepsake.. Like paper bags, used CDs, cardboard boxes, envelopes, playing cards, old books, etc. etc. etc.. the list is never ending. There is no ‘right’ or ‘wrong’ way to create a mini album.. Its about putting your creativity at work!! Mini albums are a great way to preserve memories from your life or from a special event like a trip you’d taken with family, etc. Sometimes you may want to share an experience through scrapbooking that won't take up an entire large album. That is where “Mini Albums” enter! What I have for you today is a very small mini album. 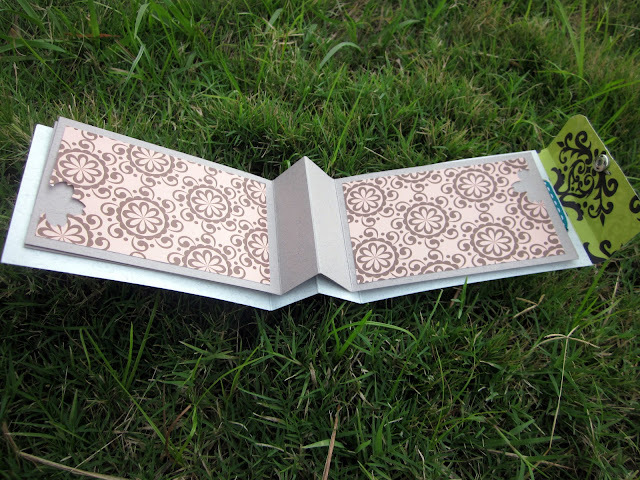 It’s called the Meandering mini album. This album looks like a small pocket book. Am sure you must have guessed by now what this month's challenge is going to be. Yes!! The July challenge is to make a mini. It could be any sized or shaped mini album! You could make one using scraps, old CDs.. absolutely anything.. You're only limited by your creativity! Whats more?! The winner gets a gift voucher worth Rs.300 to shop at www.lulupu.com!!! :D How cool is that?! You have until the end of this month to link up your project. * It is not necessary to use items purchased from Lulupu.com (though we would love it if you do). * You can link up your creation to a maximum of 5 challenges including this one. * No Back linking please. We would love to see what you make post this challenge is announced. * Please share your entry on our FB page with a link to your post under the July Challenge Album. This is not compulsory but we would love to share your work with craft lovers! * Lastly please link back to this challenge page. Welcome to Lulupu's Mini Album Challenge! Please click on the blue box below by Inlinkz to upload your card and a direct link to your website. Check the link below for more details..
Now for the card I made today..
It’s a fun little card.. I’ve woven strips of card stock together for the background! 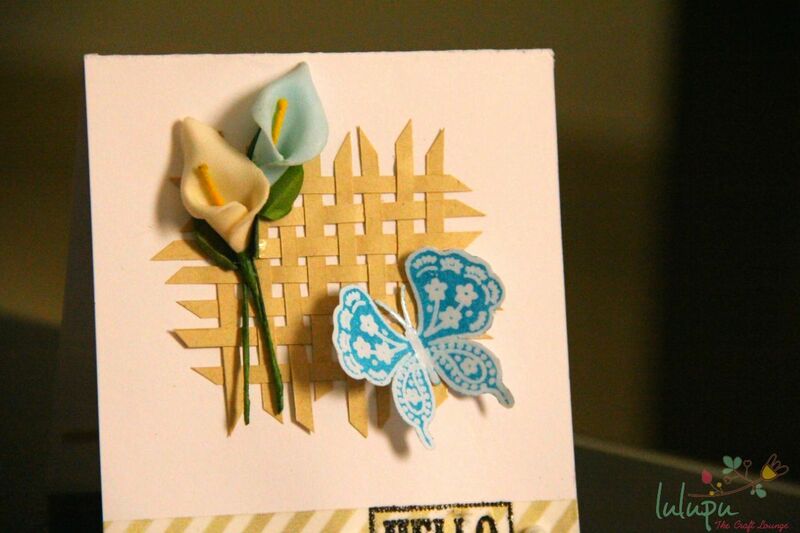 The butterfly is clear embossed and later colored using Micia’s blue pigment inkpad!! I am in love with this ink color.. it seems a bit different in the photo but in actuality it’s a very pretty deep blue color.. a very rare color to find, I think! This color will definitely make it to my top 10 favorite ink colors. :) The texture of the ink is very nice and not too creamy which makes it very easy to work with. 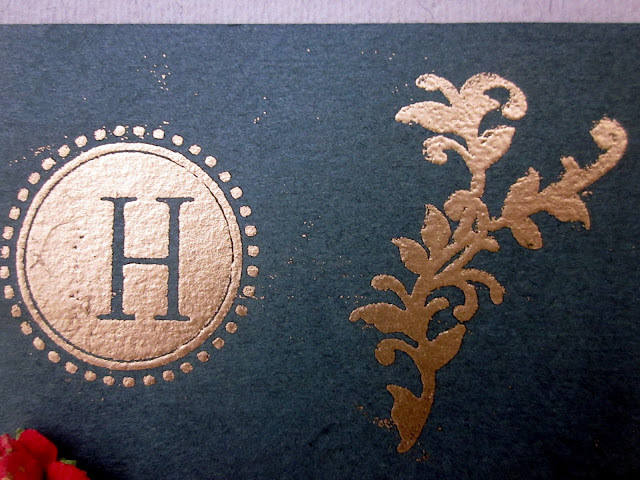 I also did a little experiment of embossing on a Washi tape.. and here is the result!! The sentiment embossed just perfect! Do make sure to rub your anti-static pad on the tape before you emboss. TIP: If you dont an anti-static pad then just substitute it by rubbing some talcum powder on the surface before you emboss. Thats all for today, folks! Promise to be back with another fun project soon! 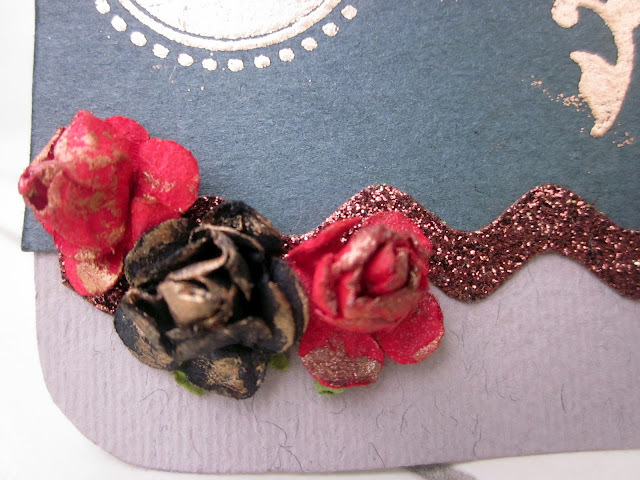 rest of the embellishments from stash. Hello everyone, this is going to be a really quick post. My laptop is really old so doing simple things like adding a watermark to images and uploading them to blogger takes more than an hour :( so even though I completed the mini yesterday I couldn't post it yesterday (my post was scheduled for 21st July)......anyway enough of my rambling. Hope you are enjoying the series of beautiful Mini's made by our lovely DT team. Not to forget the cute tags they have showcased! 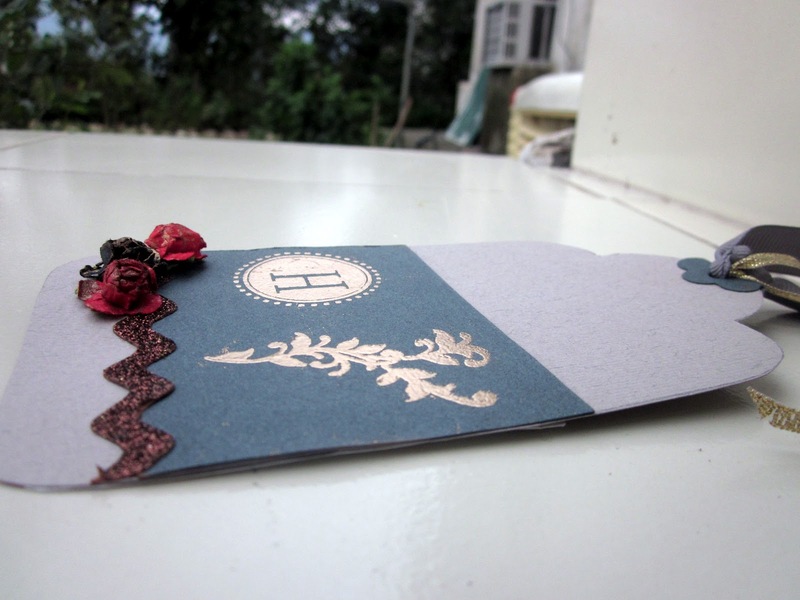 We have our Guest DT post by a very talented crafter most of you are familiar with! Yes its Yvonne from "Do More with Less". 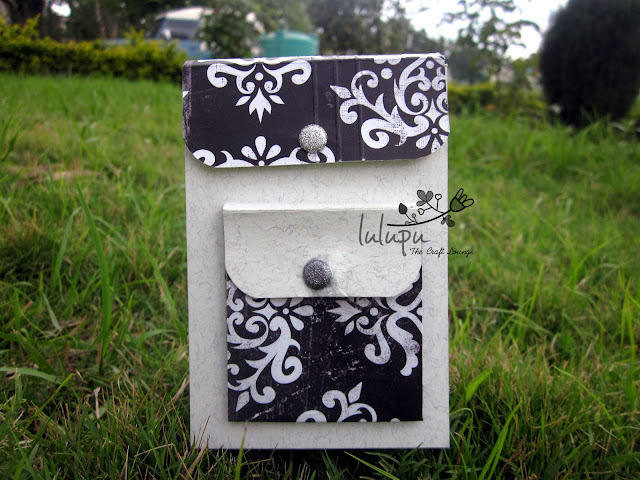 She has a super cute recycled Tin box with a cute mini inside! We hope this gets you totally inspired! This is Yvonne from Do More With Less here to share with you my mini album featuring my littlest nephew J.
I upcycled an old tin box and glued an accordian-style mini album inside [4.25 X 4.5]. To create unity among the pages, I used repeated elements like the owl with the googly eyes [I added Glossy accents for dimension] and the tag and twine. I also printed all my photos in black and white for a more cohesive look. I am back with a mini album a backpack one to share with you today and with a video tutorial of the same .Hope you like it. I like this one for its simplicity and for the fact that it doesn't need any binding or rings to hold it.I would recommend a bigger size though to carry larger pics. This is how it looks when opened. Anyway, back to my post now. Here's how the bookmark looks (dimensions 2 3/4" wide and 7 1/2" tall).. And when I say "I hope you guys like it" I really do mean it. That's all I have for today... See you all next time.. I am here to show you a simple tag after the gorgeous mini inspirations and tags.I hope you are playing along with us at the ongoing challenge at Lulupu to win some fabulous prizes. Nothing much to say about this tag.it is pretty self explanatory. A BACK TO SCHOOL TAG! Hello there, this is Juhi. I hope everyone is having fun with this month's theme of mini albums...I know I am.......Mini albums have always been my favorite, they are so easy to make and look so good......I especially like to make baby mini albums. My daughter is 7 months old now and I have still not made even a since scrapbook layout of her, so I made a mini album featuring my daughter Kriti. I have up-cycled an old desktop calender (seen in the picture below) and made a desktop display mini album. This was incredibly easy to make as I did not have to take care of the binding, just covered up the dates on the calender with PP. 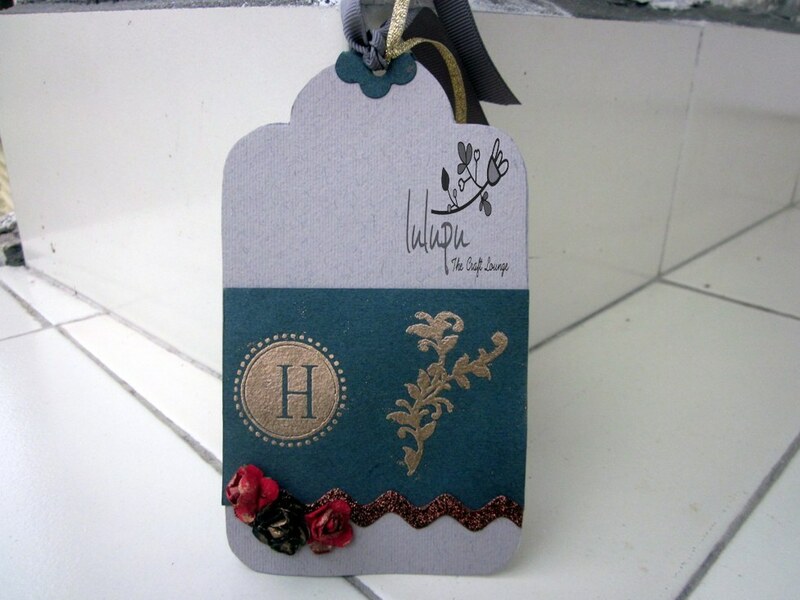 I've used loads of washi tape, some chipboard stickers and alpha stickers to embellish. The trick here is to keep the pages relatively flat by not using too many 3-D embellishments, you can either use all the pages or remove the ones you don't want. I've left a few pages empty to add journaling. I hope this has inspired you to create your own mini. 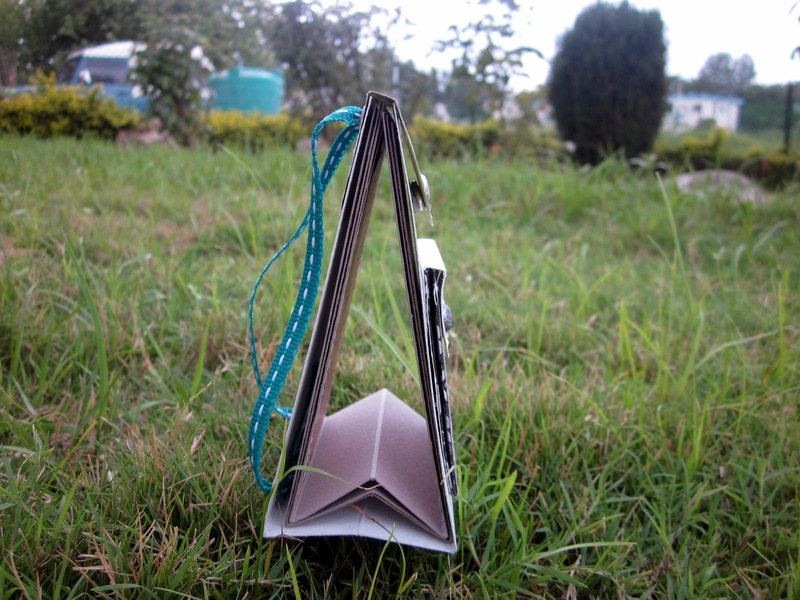 I totally agree with my fellow DT member Shruti when she says "You can use about anything to make a beautiful memory keepsake.. Like paper bags, used CDs, cardboard boxes, envelopes, playing cards, old books, etc. etc. etc.. the list is never ending. There is no ‘right’ or ‘wrong’ way to create a mini album.. Its about putting your creativity at work!!" So get going make your own mini and link it up to this month's challenge, details can be found here. Winners of June Monthly Challenge! In total we had 27 super awesome entries for our challenge! And we have 1 winner and also a top 3 who get to show off their blinkies!! Let me tell you that the DT had a real tough time deciding these as each entry was superb in its own way and we have tried to choose the ones which have stuck to the entry rules of the stamping challenge and shown us some real neat techniques and feel of stamping! The Winner of our first Challenge is - Pooja. 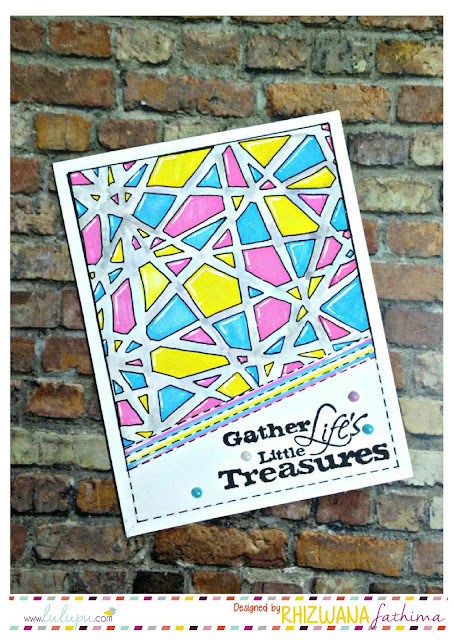 We loved Pooja's amazingly coloured stamped image. The overall look and feel was breathtaking! Truly a "Best out of waste kind of a project", as mentioned by her! Please mail us at hello@lulupu.com with your address and choice of Micia Medium (CPM) stamp from our store as a prize! Woo hoo!! 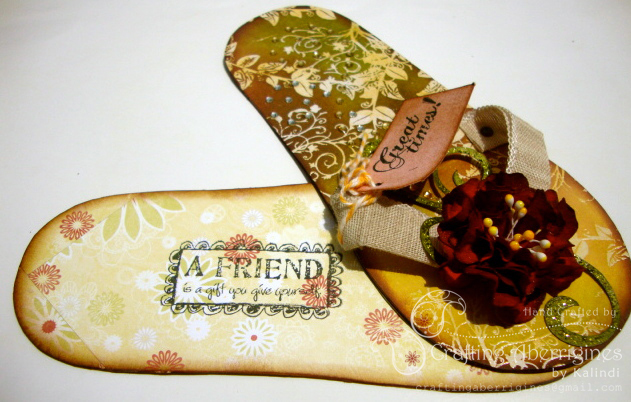 The DT was surely flipped by this cute flip flop and gorgeous stamping! 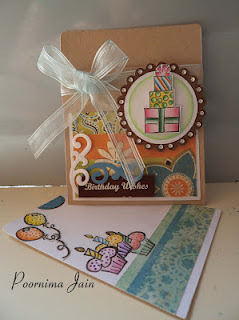 We loved the beautifully stamped and paper piecing used in this Birthday card! It looks adorable! A big thanks to everyone who participated, unfortunately we can have only few names mentioned but we surely loved your enthusiasm and creations! We have a new challenge for the month to make a Mini Album.... just any kind :D Please check out THIS post by our DT team Shruti with her amazing tutorial on a meandering Mini Album and watch out some more amazing inspiration from the DT this month!